Secure offshore accounts offer enhanced privacy, income tax and capital gains tax reductions – all at wholesale pricing. 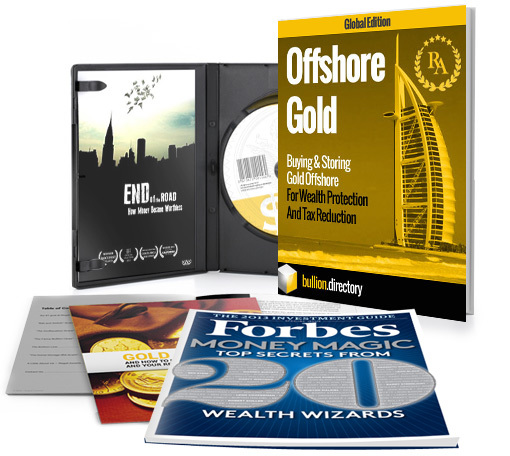 Our free kit shows exactly what to do to buy and store precious metals offshore with a minimum of fuss and for maximum protection – using leading UK and US-based brokers. Material provided on the Bullion.Directory website is strictly for informational purposes only. It is not intended as investment advice and must not be relied upon as such. Precious metals carry risk and investors requiring advice should always consult a properly qualified advisor. 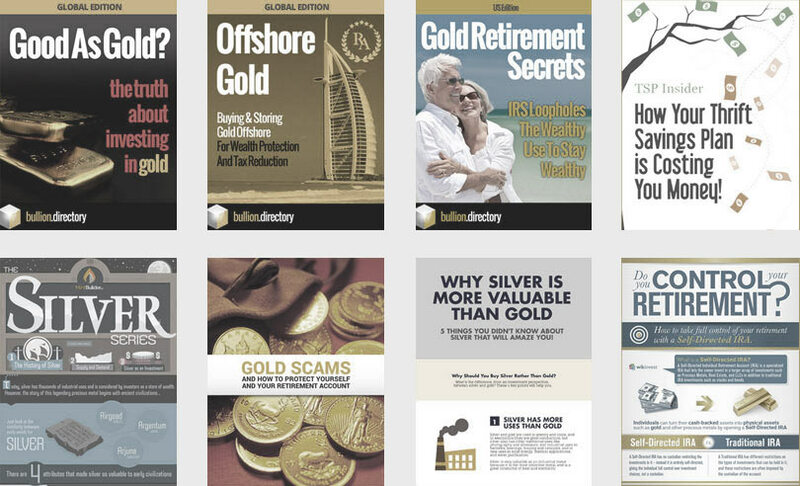 Bullion.Directory, it’s staff or affiliates do not accept any liability for loss, damages, or loss of profit resulting from readers investment decisions.